WHOO HOO! I have officially gotten in on the ground floor this time! It feels so good to be here for once in my life. And YES! I am taking sides. I LOVE IT!!!! LOVE! LOVE! LOVE! Haters are gonna have their say, but those of us who love it will too. First a bit of back-story — because I am an author and we all love back-story — haven’t you noticed . . . I did not discover twilight until it was already slated to become a movie. I literally (yes I know it sounds like I am comparing myself to a certain heroine, but I’m not – I’m really that way) stumbled across a discussion on a social site and was immediately intrigued. I have always been a bit different from everyone else I know . . . slightly odd, slightly off, slightly obsessed with weird and unexplainable things (remember, I write speculative fiction) – and so the idea of non-evil vampires was too exciting to pass up. So . . . anyway, I found a copy at a nearby bookstore and started reading. And . . . I. Could. Not. Put. It. Down. I don’t care what anyone says. Yes, it may have been rushed a bit. Yes, it was Stephenie’s first novel. Yes, there may have been some errors or spots where the writing lacked, but you know what – I am not a natural editor and I do not remember ANYTHING pulling me out of the magnificent story world . . . well, not anything from the book anyway. I began pretty late in the day and read right through the night. Even though I knew my kiddos would get me up super early, I did not close my eyes until I’d finished the very last page of the book. Actually, it was probably about a half hour after I finished that last page, because I sat there grinning like an idiot for at least five minutes and then it took a long time to get my brain to shut up so I could go to sleep. I kept going over my favorite scenes and stifling the ridiculous schoolgirl giggles that kept escaping. Obviously, I went out the next day and hunted down copies of new moon and eclipse, and it’s been a while, but I’m pretty sure I had to wait for breaking dawn – which I’m certain was a special kind of torture, but somehow I survived. You see, these books had done something for me that no trashy romance novel I had ever read could – they had given me a REAL fantasy about what love truly should be. Speaking as someone who has not had good fortune in the romance department, I was thrilled to read about a young woman who made good choices where love was concerned. Far too many people look at Bella Swan and pick at her because when everyone around her is doing their crazy superhero thing, she stands there and lets them handle things, but those are people who did not read the scene at the end of the book . . . clearly. Most of them probably never made it through half the first book, much less the second and third and last book – where Bella becomes the ultimate superhero . . . the one they all look at with this crazy awe, the one who most certainly does NOT stand behind anyone else, the one who . . . literally . . . saves. the. day. Stop glaring at me. That is not a spoiler. Not at this late date. And now for the painful part. The movie killed it, absolutely destroyed that beautiful bubble of perfection for me. When every other female in the theater screamed as “Edward” came on screen, I groaned – yes, out loud. I am quite certain no one heard me because they were too busy screaming and hyperventilating, but I did. I groaned because that guy was not my Edward. The Edward in my mind was actually flawless – not stupid and awkward and wearing a stinking “members only” jacket – which, in case you aren’t my age – meant you were the ultimate dork . . . or at least it did when I was in school. No. Way. to make that cool for me. E. V. E. R.
Yes, I watched the movies – because in some crazed, desperate way, I kept hoping it would somehow get better enough to fix that horrible, agonizing death. And in a way, it did . . . a little. Rob’s makeup and wardrobe got better with the second movie. His acting even improved . . . slightly. The second movie was done incredibly well and I quite enjoyed it, but . . . it really didn’t matter. The bubble had been decimated and there was no getting it back. All I could really do was hold on to the improvements and try to enjoy the ride. And I do enjoy watching the movies. I enjoy – immensely – that last scene of the last movie. I enjoy the music . . . well, most of it, and I enjoy seeing Bella be the amazingly awesome superhero that saves everyone – everyone! But it has never been the same. I refuse. REFUSE! to spoil the new story for anyone. But I can say that my faith in the series has been restored! Sitting there, reading about Beau and Edythe, I felt the same delirious, giggly, romantic high that I experienced when reading the original twilight for the very first time. Somehow, Stephenie has healed the devastation – that movie #one caused in me – with this wildly perceptive idea of hers! And regardless of what anyone says – ONLY an INCREDIBLY gifted author could have pulled this off! Only an AMAZINGLY talented author could have had me hearing a guy’s voice in my head as I read Beau’s words . . . knowing many of those words as well as I do from the dozens of times I read the books before I watched the first movie. Impressive that Stephenie was able to accurately describe how differently a young man would react to things – because, let’s face it; boys do not react to things the same way girls do – not often anyway. Doubly impressive to see how different Stephenie succeeded in making the few reactions that were essentially the same ones we had seen from Bella . . . feel . . . as if they were actually tailored for Beau, when we remembered that was not the case, because Bella had reacted just the same way. However, the most impressive part was when I became so involved in the story, that I completely forgot I was reading a story that bore a strong resemblance to another I read nearly ten years ago. It felt fresh and brand new. It was amazing and exhilarating and exciting! 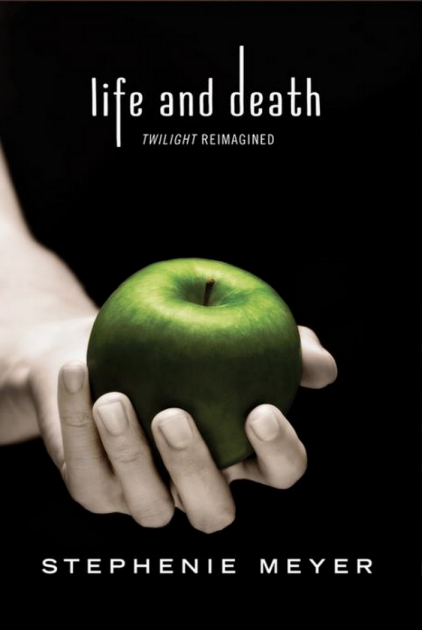 And I just may be able to go back and read the original twilight again and really enjoy it.